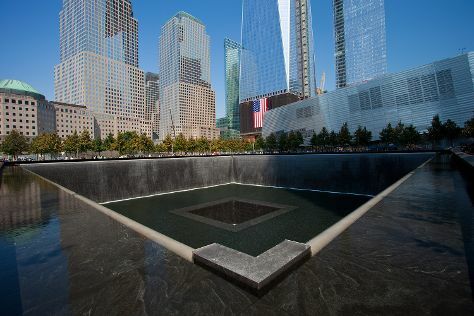 Your list of things to see and do now includes 9/11 Memorial, Brooklyn Bridge Park, Charging Bull (Wall Street Bull), and other attractions. Family-friendly places like New York Public Library and Victorian Gardens will thrill your kids. There's much more to do: take in panoramic vistas at Top of the Rock, don't miss a visit to Central Synagogue, take in the architecture and atmosphere at Fifth Avenue Presbyterian Church, and go for a walk through Sixth Avenue (Avenue of the Americas). To see where to stay, more things to do, and more tourist information, go to the New York City attractions planner. Tel Aviv, Israel to New York City is an approximately 14.5-hour combination of flight and bus. You can also fly. The time zone changes from Israel Standard Time (IST) to Eastern Standard Time (EST), which is usually a -7 hour difference. Prepare for little chillier weather when traveling from Tel Aviv in April: high temperatures in New York City hover around 61°F and lows are around 45°F. You will have some time to spend on the 14th (Sun) before leaving for Washington DC. On the 14th (Sun), pause for some photo ops at Vietnam Veterans Memorial and then pause for some photo ops at Lincoln Memorial. Get ready for a full day of sightseeing on the 15th (Mon): learn more about the world around you at Smithsonian National Museum of Natural History, then see the interesting displays at National Air and Space Museum, then appreciate the history behind Jefferson Memorial, and finally explore the activities along Tidal Basin. To see ratings, traveler tips, more things to do, and more tourist information, refer to the Washington DC tour itinerary planner. You can fly from New York City to Washington DC in 3.5 hours. Other options are to take a train; or drive. Traveling from New York City in April, you will find days in Washington DC are somewhat warmer (68°F), and nights are about the same (49°F). You'll have a few hours on the 16th (Tue) to wrap things up before traveling to Orlando. To find ratings, other places to visit, maps, and other tourist information, read Orlando trip itinerary app . Getting from Washington DC to Orlando by car takes about 14 hours. Other options: take a train; or take a bus. Expect somewhat warmer temperatures when traveling from Washington DC in April; daily highs in Orlando reach 84°F and lows reach 65°F. Finish up your sightseeing early on the 16th (Tue) so you can go by car to Vero Beach. Vero Beach is a city in, and the seat of Indian River County, Florida, United States. Kids will enjoy Nature & Wildlife Tours and Round Island Beach Park. You'll find plenty of places to visit near Vero Beach: Fishing Charters & Tours (in Okeechobee), First Data Field (in Port Saint Lucie) and Stuart (Florida Oceanographic Coastal Center & Elliott Museum). There's much more to do: admire the majestic nature at Sebastian Inlet State Park, take in nature's colorful creations at McKee Botanical Garden, brush up on your military savvy at Navy Seal Museum, and explore and take pictures at Al's Family Farms. To find traveler tips, maps, and tourist information, use the Vero Beach online trip itinerary builder . You can drive from Orlando to Vero Beach in 2 hours. Another option is to take a bus. Expect a daytime high around 83°F in April, and nighttime lows around 65°F. Cap off your sightseeing on the 21st (Sun) early enough to go by car to Orlando. Kick off your visit on the 21st (Sun): get in on the family fun at Walt Disney World Resort. On your second day here, find something for the whole family at Universal Orlando Resort. To find traveler tips, where to stay, other places to visit, and more tourist information, go to the Orlando trip planner. Getting from Vero Beach to Orlando by car takes about 2 hours. Other options: take a bus. Finish up your sightseeing early on the 23rd (Tue) so you can go by car to Miami. Kids will enjoy Shark Valley and South Beach. 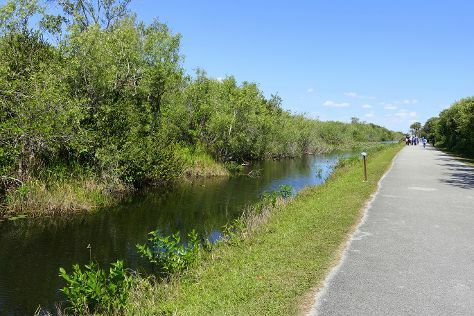 Change things up with these side-trips from Miami: Everglades National Park (Pineland Trail & Anhinga Trail) and Fort Lauderdale Beach (in Fort Lauderdale). There's still lots to do: examine the collection at Vizcaya Museum and Gardens, browse the different shops at Bayside Marketplace, look for gifts at The Official Art Deco Gift Shop, and admire the natural beauty at Fairchild Tropical Botanic Garden. To see where to stay, more things to do, and other tourist information, refer to the Miami trip planner . Traveling by car from Orlando to Miami takes 4 hours. Alternatively, you can take a bus; or take a train. Plan for somewhat warmer nights when traveling from Orlando in April since evenings lows in Miami dip to 71°F. Cap off your sightseeing on the 26th (Fri) early enough to travel to Las Vegas. Start off your visit on the 27th (Sat): immerse yourself in nature at Red Rock Canyon National Conservation Area, then enjoy breathtaking views from Eiffel Tower Viewing Deck, and then make a trip to Bellagio Fountains. Get ready for a full day of sightseeing on the next day: see the interesting displays at The Mob Museum, admire the natural beauty at Bellagio Conservatory & Botanical Gardens, and then shop like a local with The Strip. For more things to do, where to stay, reviews, and other tourist information, use the Las Vegas driving holiday planning website . Getting from Miami to Las Vegas by combination of bus and flight takes about 8 hours. Other options: drive; or take a train. Due to the time zone difference, you'll gain 3 hours traveling from Miami to Las Vegas. Traveling from Miami in April, expect Las Vegas to be little chillier, temps between 80°F and 57°F. You'll have a few hours on the 29th (Mon) to wrap things up before traveling to San Francisco. Start off your visit on the 29th (Mon): admire the natural beauty at Japanese Tea Garden, snap pictures at Golden Gate Bridge, and then don't miss a visit to Lombard Street. 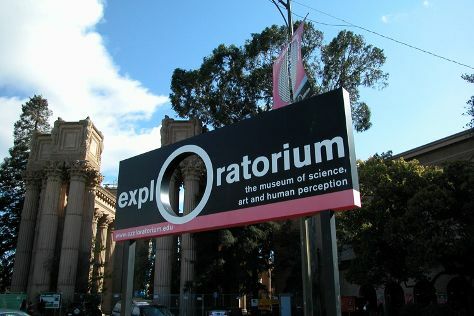 Keep things going the next day: head off the coast to Alcatraz Island, then get curious at Exploratorium, and then examine the collection at Cable Car Museum. To find reviews, traveler tips, more things to do, and other tourist information, go to the San Francisco trip builder site . Traveling by flight from Las Vegas to San Francisco takes 4 hours. Alternatively, you can drive. Plan for a bit cooler temperatures traveling from Las Vegas in April, with highs in San Francisco at 67°F and lows at 51°F. On the 1st (Wed), you'll have the morning to explore before heading back home.